Luis Suarez is expected to be fit for Barcelona's Champions League quarter-final first leg against Manchester United despite spraining his ankle. The former Liverpool striker was substituted in the final minutes of the 4-1 La Liga win against Real Betis on Sunday night, after scoring his 18th league goal of the season for Barcelona. An injury assessment has confirmed Suarez will miss between 10-15 days. The 32-year-old was due to join the Uruguay squad for a match against Uzbekistan, but has now withdrawn from the squad. Barcelona play United at Old Trafford in the first leg of their Champions League quarter-final on April 10, with the return fixture six days later at the Nou Camp. The winners of that tie will play either Liverpool or Porto in the semi-finals. 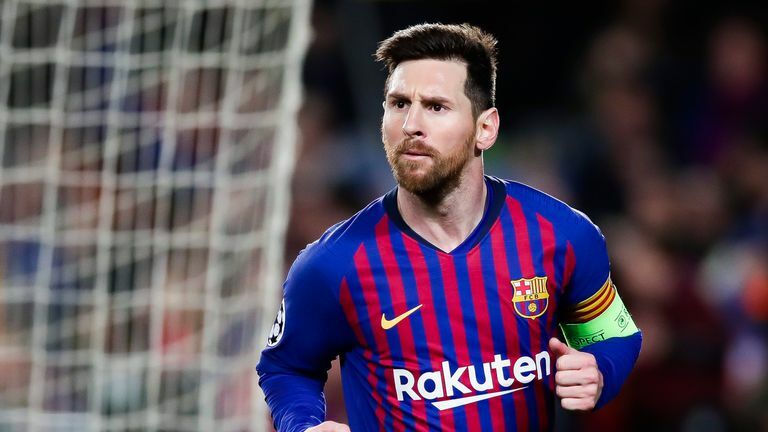 Lionel Messi scored his 51st career hat-trick in Barca's win over Betis, which extended their advantage over second-placed Atletico Madrid, who lost on Saturday, to 10 points at the top of La Liga.